Welcome to SteamShowerSauna!! Your MR Steam Superstore!! Click this link SIZINGTOOL to determine your correct steam generator size. Wireless. 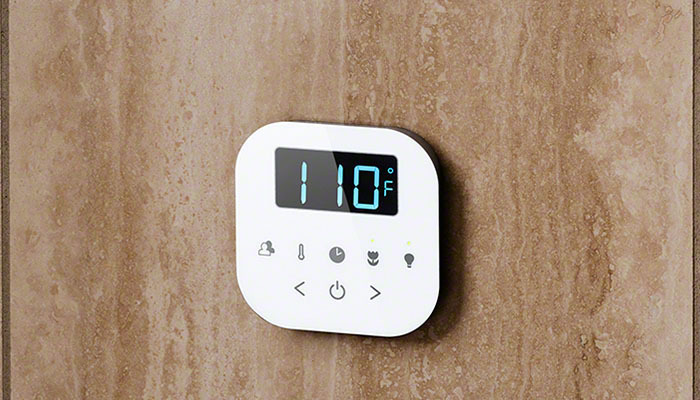 Not tethered by cables, the AirTempo Control offers a "nomadic" way to control your steam. 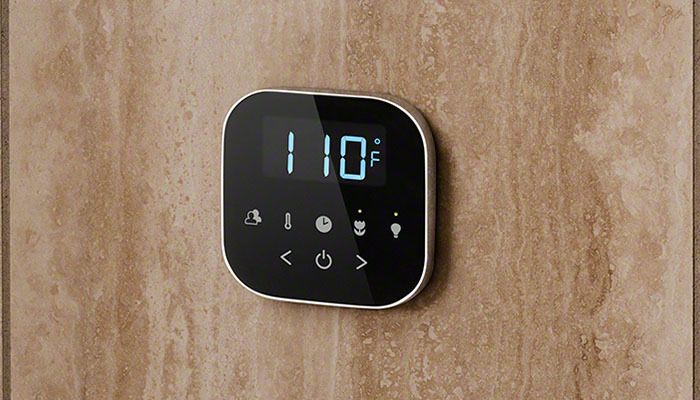 With its exquisite waterproof design, the AirTempo control can be easily installed on almost any steam room wall - even glass. Need to replace or upgrade your control? 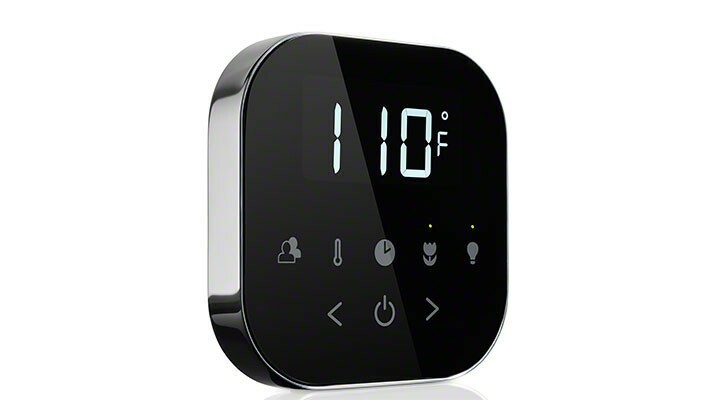 The AirTempo auto-fading display remains lit while adjusting your preferences, including temperature, duration, AromaSteam, and ChromaSteam. The LCD icons on the touch panel provide status indication during the steam bath session. The display then fades to black in energy saving mode allowing for an uninterrupted steam bathing experience.